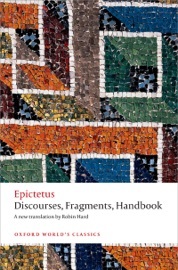 This is the only complete modern translation of Epictetus's Discourses, together with the Handbook and fragments. A major work of Stoic practical ethics, the Discourses teach that the basis of happiness is up to us. This accessible new translation is accompanied by a full introduction and thorough notes.